It is possible for a company to have a transcendent purpose, which, like all claims, seeks results. It is about good business development by doing things right. 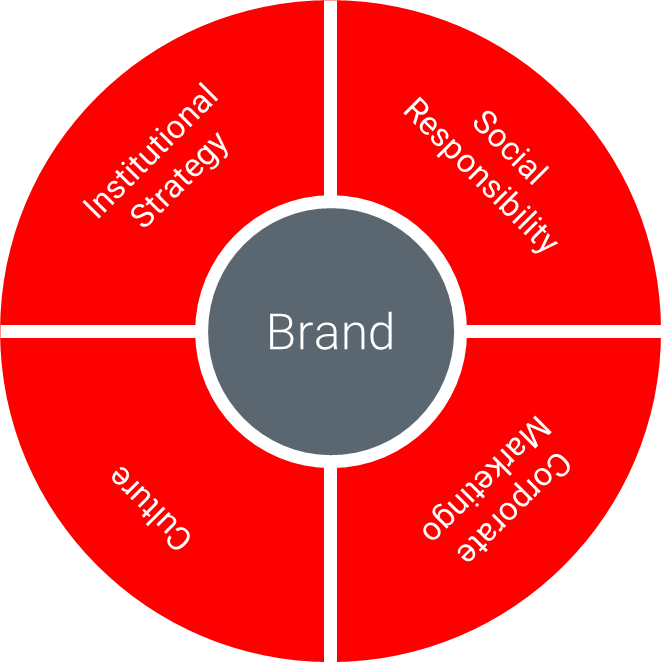 This means the brand, understood as the platform which reflects such a purpose, must be developed and evolve at the intersection between company strategy, social responsibility, culture and corporate marketing. This is how the essence of the brand becomes richer and institutionally associated to the company in all its dimensions. This makes it truly unique and personal to its audiences –including society. It also makes it authentic. It is about going beyond the traditional positioning of a corporate brand. Brand is led by values: Brands have a conscience if their leaders have a conscience and their principles form part of the culture of the organisation. Brand interacts with interdependent audiences: Companies exist to satisfy the needs of shareholders, employees, clients and society in general –it is worth remembering that shareholder supremacy over other stakeholders is a recent phenomenon which emerged in the mid-1960s and that in recent years has lost ground due to its own resistance and short-term demands. Brand identity evolves with the involvement of people: Companies are leaning towards more participatory structures. Consumers, clients and other audiences are moving away from passive attitudes and so the lines between what is and what is not part of the system become blurred. Our experience indicates that it is also a fact that brands have immediate specific needs, however, we know that they have greater requirements in the long term. It does not matter what stage of development a brand is in when this evolution and development from positioning to purposes starts. In a changing environment, what is permanent must be made clear. Craft-wise, like carving away material in a sculpture, the process must reveal the real situation underneath any observed symptom. The key is in managing expectations to avoid frustrations of this type of iterative dynamic –coming and going, constructing and destroying, creating and eliminating. Provide results at each milestone, as they arise, without waiting until the end. Make the most of the inspiration of those participating, demonstrating correct management. With a greater audience and as a good institutional observer, companies start to feel the need -and risks, of integrating culture and good work across the business, to thus create a positive change in the whole value chain and in its key audiences. The importance of this latter point permeates brands that need to generate a knock-on effect in order to adapt the behaviour of their audiences and create a greater positive impact. Against the brand leadership that many currently search for as an outcome, the community that establishes a conversation through these brands is actually more important. Great leaders create, increase and support a sense of community in and from the organisations, going beyond their individual leadership, to recognise the company’s collective nature. An organisation with a brand that means something special to others is an entity that collectively pursues a common goal. At the end of the day, a brand needs ethics at its heart to maintain credibility.